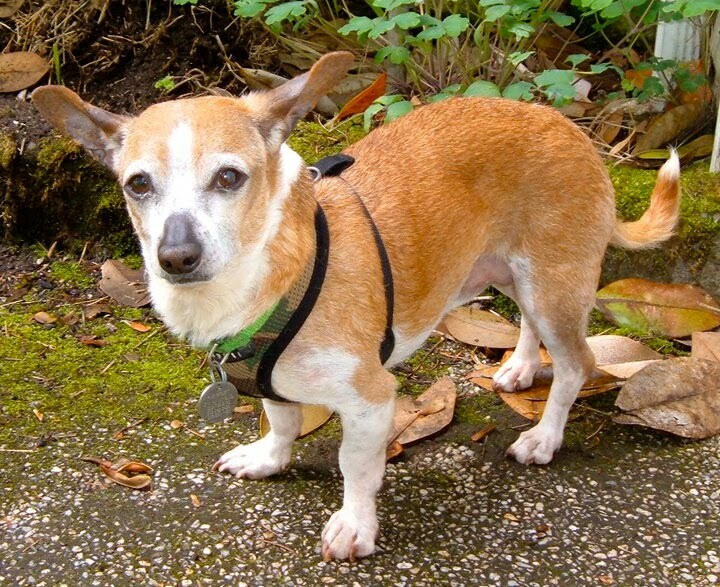 In this week’s installment of “Adopt-a-Pet Friday” we are featuring The Pixie Project – an animal rescue group in Portland, Ore. How did we team up with a rescue group almost on the other side of the county you ask? Easy, there are no borders when it comes to homeless pets, plus the other night I happen to see this absolutely adorable pup they had up for adoption and asked if we could feature it. The pup’s name is Frasier, a 6-year-old Chihuahua who is described as “a fantastic kid, a loving loyal companion and an absolute joy.” And yes, he, too is similar in color to my Toby, so yeah, we are a little partial. He does great with other dogs and kittens and enjoys sitting on his foster mom’s lap while she types. As we always say, we are not affiliated with any of these shelters, nor can we guarantee these pets are still available. But, we do know they are darn cute, and deserve a great home! So meet some more pets up for adoption from The Pixie Project. This pooch is just a baby, and is cute as a button. She is a shepherd mix and is about 3 1/2 months old. She had a rough couple of months after she was born, but is going to puppy pre-school to learn how to play with other pups. Her new pet parents will be asked to continue classes with her. And, the interesting part about this is her profile says she was rescued by foster parents of the Pixie Project who went to Mexico on vacation and came back with some tequila and “one cute little pup.” Her golden color and big brown eyes are irresistible! The eyes on this tortoiseshell kitty are piercing! If I weren’t allergic to cats, I would snap her up in a second! She is two years old and described as a “lover, a lap kitty and a forever friend.” She lost her family when they had a terrible tragedy. This kitty really deserves a loving home. Check out all the pets up for adoption from The Pixie Project, and make sure to follow them on Facebook for all the latest adoptable pets.